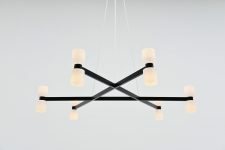 Extremely large chandelier designed by J.W. 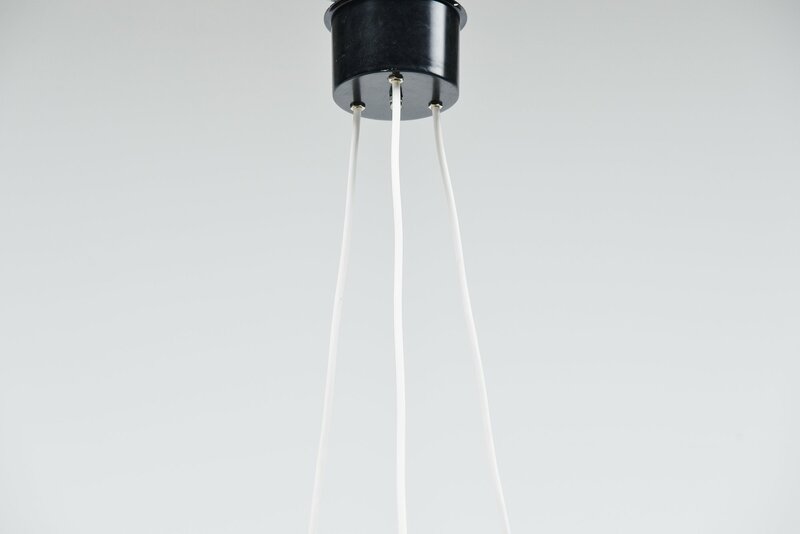 Bosman and manufactured by Raak Amsterdam, Holland 1965. 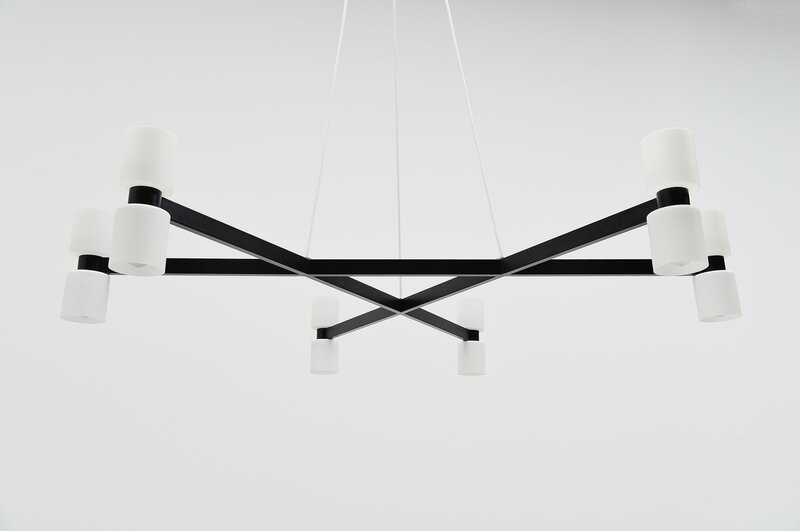 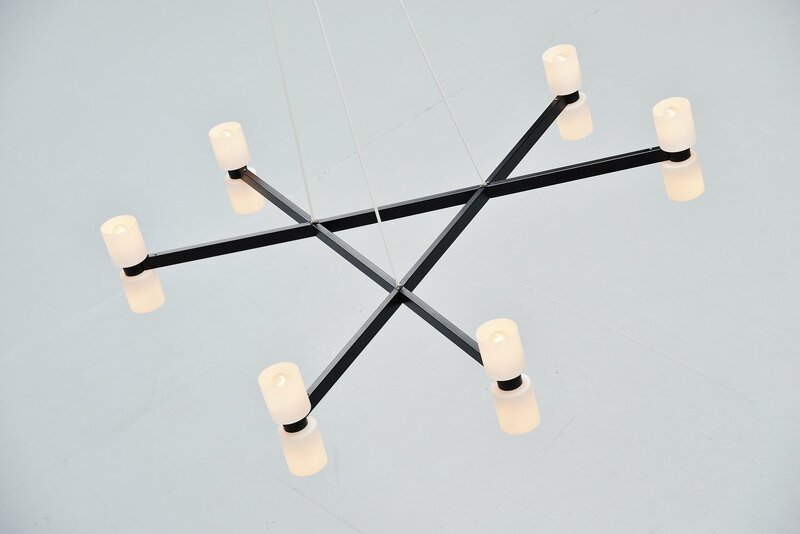 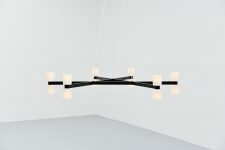 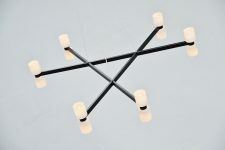 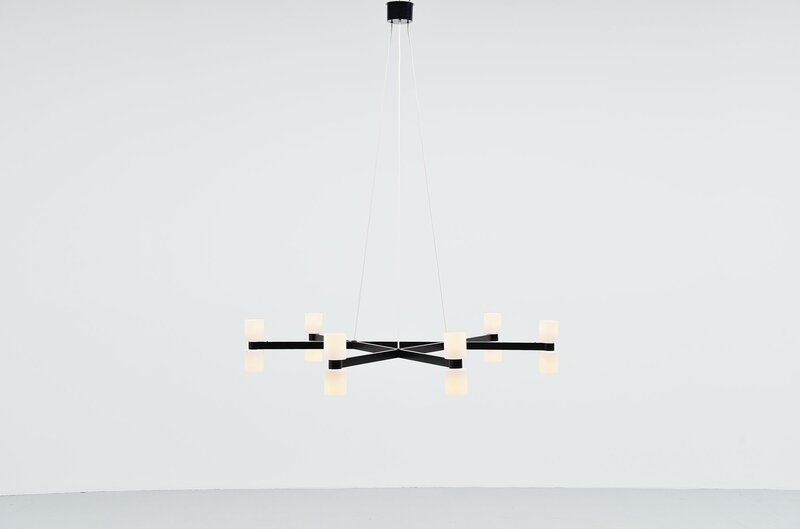 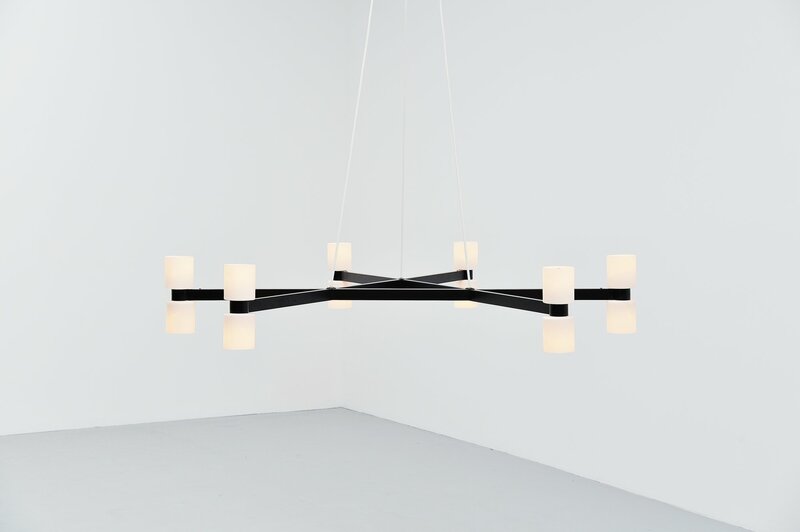 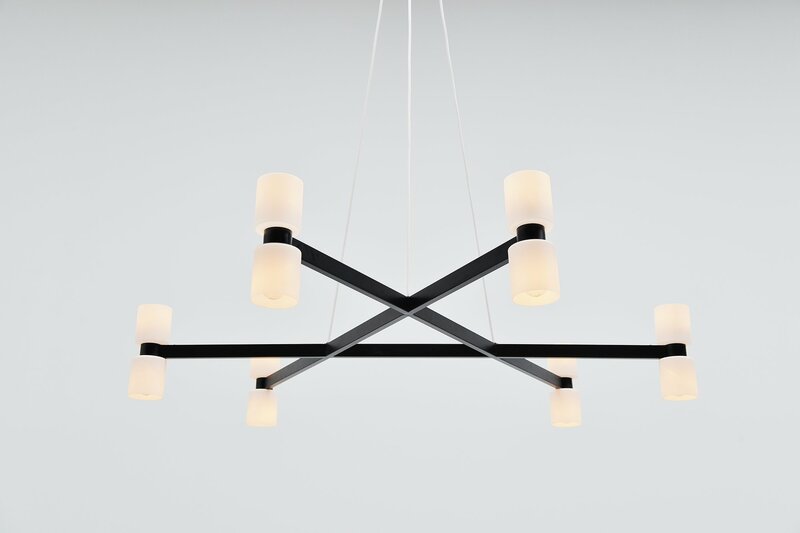 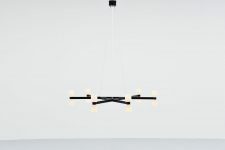 These lamps have a large star shaped frame made of black painted metal, the frame hands on 3 electrical white wires and the ceiling plate is made of black painted metal. 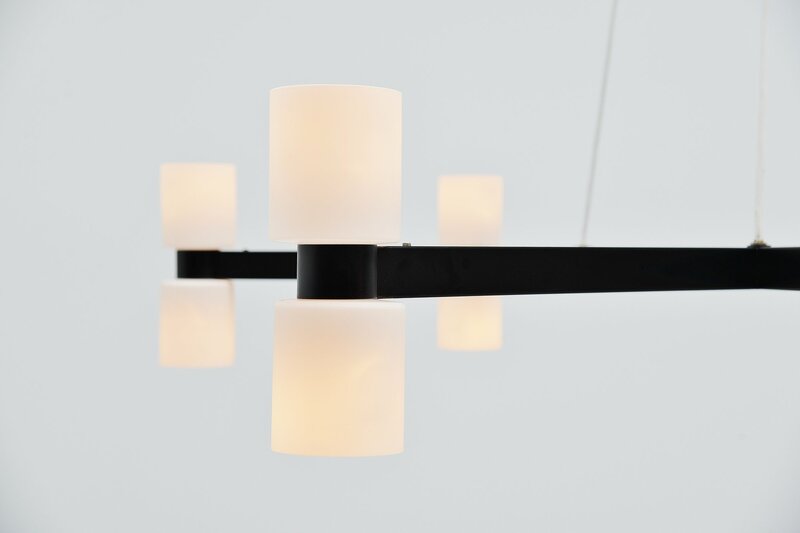 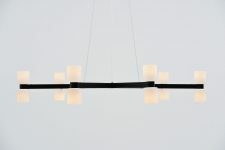 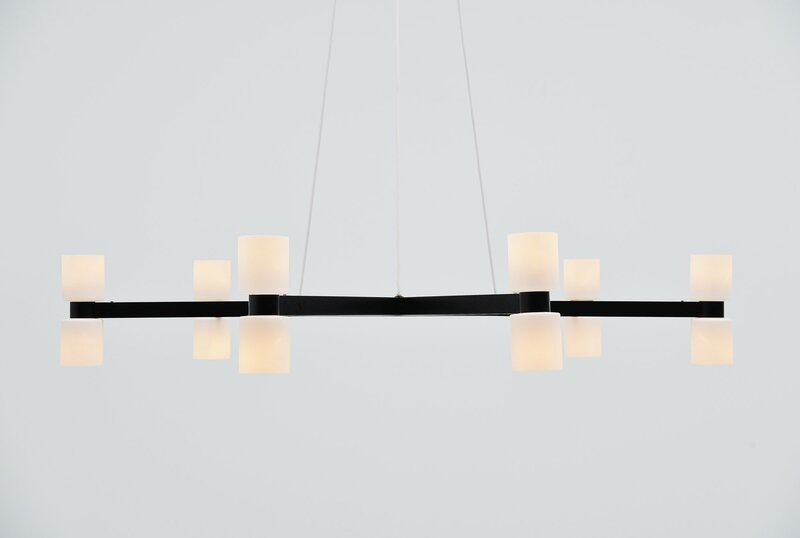 The shades are made of white milk glass and give very nice diffused light when lit. 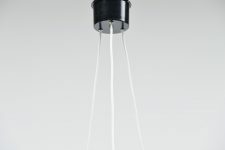 These lights were custom designed by JW Bosman for a city hall in the 1960s so they are unique lamps only 2 of them were made. 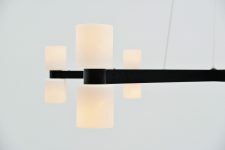 Fantastic large monumental lamps as we have a pair of these available.